This summer I’ve been constantly delighted by dragonflies. Kayaking along the Wallkill River in the Catskills, a beautiful purply-green dragonfly alighted on the prow of my little boat and accompanied me for a long stretch of my journey. In England last month, I sat to meditate in my parents back garden and afterwards opened my eyes to find a dragonfly hovering an inch from my nose. It seemed to be peering at me with great intensity. And out walking in fields, I’ve encountered flotillas of shimmering iridescent blue dragonflies zipping around my ankles. The dragonfly symbolizes resurrection and renewal after hardship in Native American legend. And in Japanese culture they symbolizes joy, strength and new light. It is one of our oldest creatures. Its ancestors date back nearly 350 million years. Its brief existence seems to be all about waiting to take wing. It spends up to 5 years cocooned underwater as a nymph (a larvae). Then one night in spring or summer it crawls to the surface and buds its beautiful wings. This magical new flying creature lasts only a few days or weeks and then it is gone. I suspect Laura still sends me winged creatures to surprise and delight me. Since her passing, I’ve seen so many beautiful butterflies, dragonflies, and last night, I found a very large and unusually pretty moth sitting beside me in bed, on Laura’s pillow. It looked like it was settling in for the night, so I wished it goodnight and put out the light. 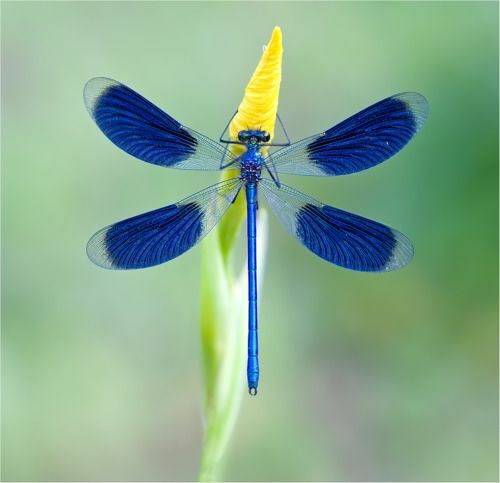 Dear friend, maybe we are all dragonflies, only our timing is a bit different. Your words are a truly warm to my heart today. Thank you. I think you are probably right. We’re all waiting til the timing is right to bloom. Thank you, dear Lucie, for educating your audience about dragonflies, and, at the same time sharing your valuable spiritual insights with all of us.